Shooting Star can fly safely in massive swarms. Intel isn’t just using drone swarms to show off its robotics prowess — it’s building a business around them. 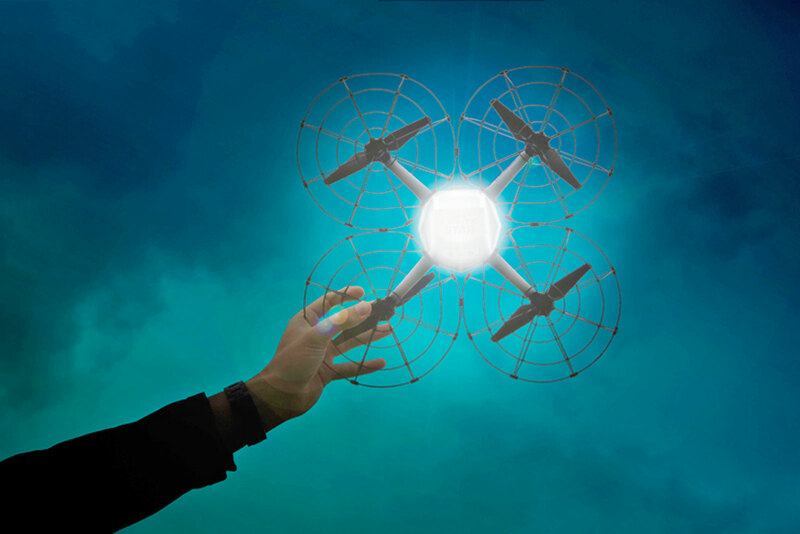 The chip maker has unveiled the Shooting Star, a quadcopter drone tailor-made for light shows. Its companion software automates the animation process, telling the drone horde where to fly to create an intended image — it’ll even choose drones based on remaining battery life and GPS reception quality. Light shows that took weeks to design can now be ready in a matter of days, Intel says. You only need one pilot to run everything, and the LED light at the heart of the drone can shine in any of 4 billion color combinations. The hardware is designed to minimize damage if there’s ever an accident. It’s built out of foam, flexible plastic and caged propellers that protect the human audience below. Shooting Star can fly in light rain, as well, so that big night won’t be ruined by less-than-perfect weather. Intel hasn’t said how much Shooting Star costs or whether or not you’ll get to buy one yourself, although that’s not completely surprising. This is a machine you buy by the dozens or hundreds, and Intel had to get FAA approval to make its one-pilot drone swarms legal in the US. If you’re just flying solo, there are likely better options available that can fly longer than the Shooting Star’s 20 minutes, and at higher speeds. However, there’s no question that the technology could be very useful for entertainers. While it was a big deal when Intel flew 100 drones in a swarm early in 2016 (enough to set a Guinness World Record), Intel successfully flew 500 Shooting Star drones together in October. That’s enough to create truly complex patterns that are more likely to awe crowds.